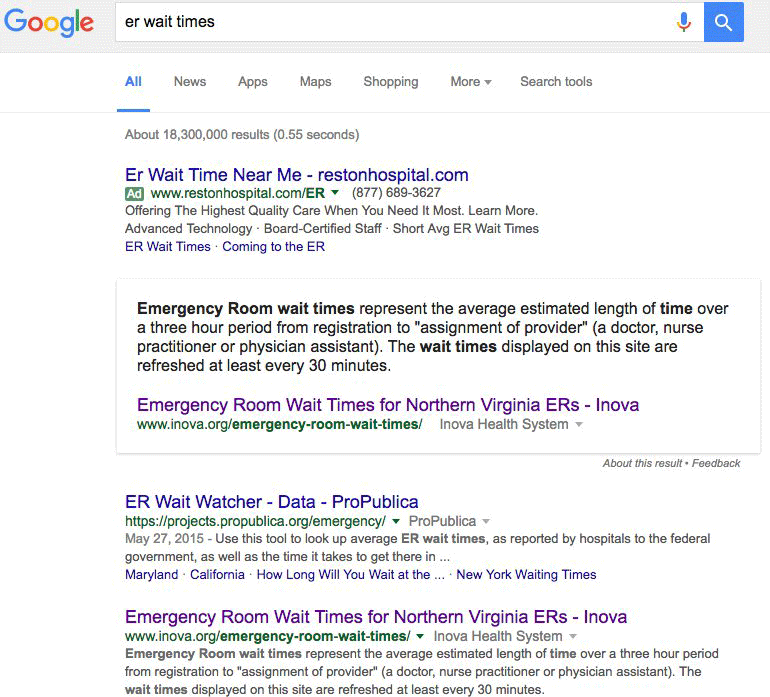 Rob Birgfeld shared on Twitter a featured snippet in Google that answered the query [er wait times] for his local hospital's emergency room. I asked Google about this and this is NOT a new feature, it is just the featured snippets coming up and being localized based on this user's location. But how crazy smart is that - it shows this searcher the ER wait times for his local hospital. I cannot replicate this but maybe that is because of where I am located but it is a neat feature.